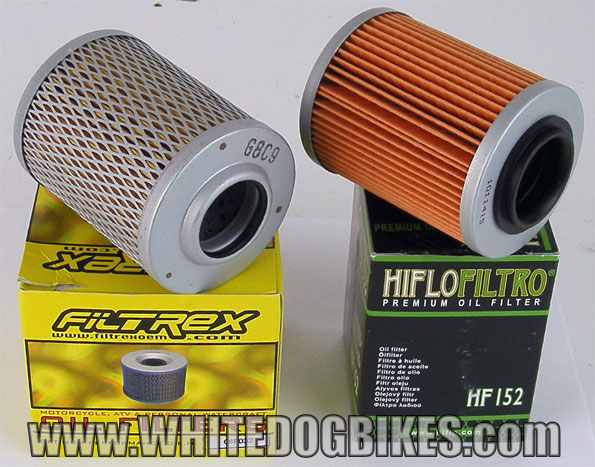 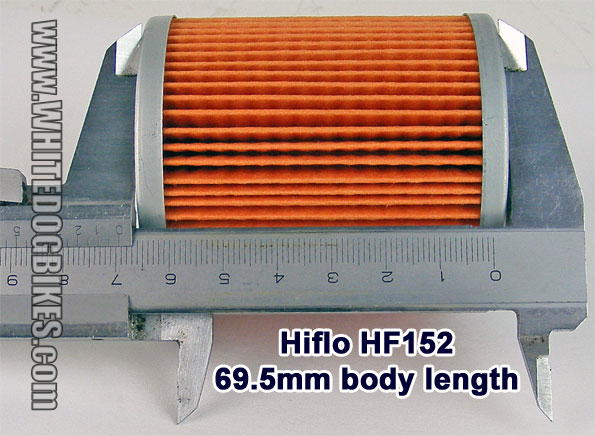 Although the 2 filters above look similar sizes, the OIF032 filter is slightly longer then the Hiflo filter (which is a bit more obvious in the pic below). 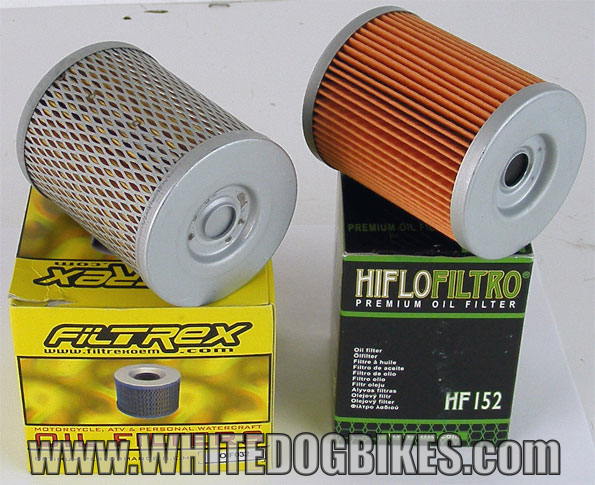 This height difference (of approx 0.5mm) between the Filtrex and Hiflo filters means the Filtrex filter doesn’t fit inside some 1000cc engined Aprilia motorcycle oil filter casings. 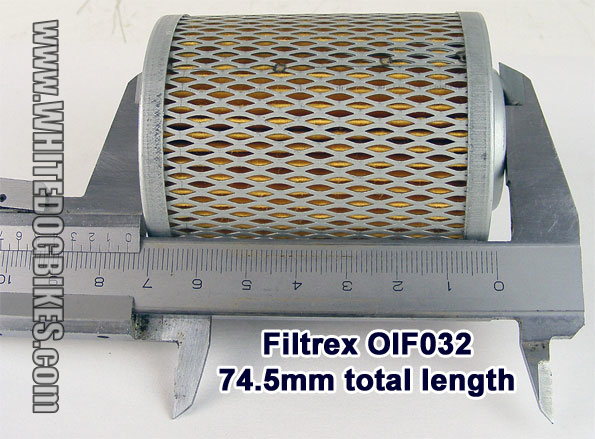 This problem is possibly also slightly worsened by the solid metal case and top on the Filtrex filter which means there’s no ‘give’ in the filter when it’s in the casing (as opposed to the Hiflo filter that has a hard, rubber top that will have a little bit of give in it). 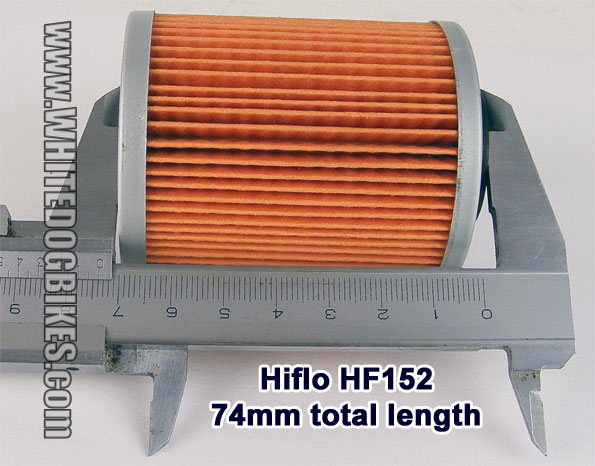 We have removed the filter from our stock and will be supplying the Hiflo HF152 filter in it’s place. 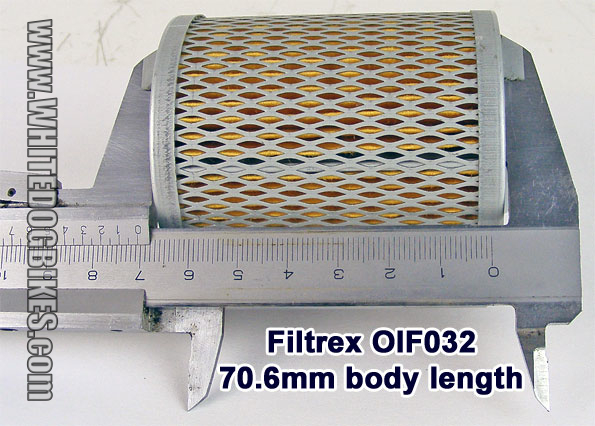 We would like to apologise to anyone that has purchased on of these filters from us and had problems fitting it. 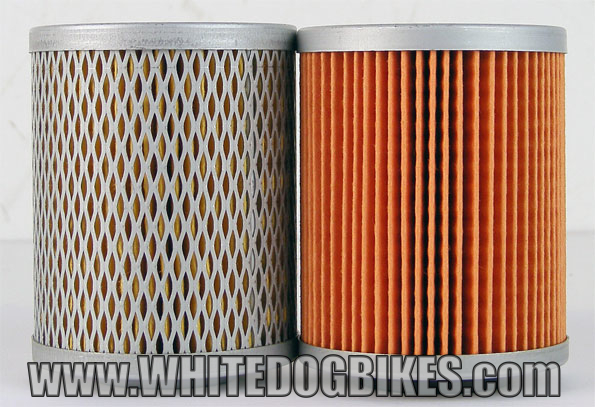 If you have had problems with the filter you purchased from us please Contact Us so we can send you a replacement filter.